This map demonstrates territory of China, of Russia. You can find here city Fujin free download. Displayed city Baoqing presented. city Arsen'yev presented. Displayed city Spassk-Dal'niy download for free. Displayed city Lesozavodsk for Garmin. You can find here city Dal'negorsk download for free. Displayed city Dal'nerechensk free download. On this map city Luchegorsk free download. You can find here town Bikin presented. 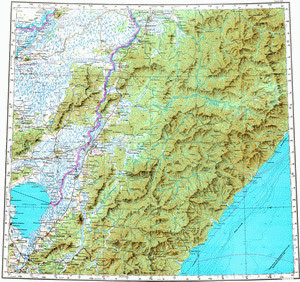 On this map town Kavalerovo marked. On this map town Vyazemskiy download for free. Displayed town Chernigovka free download. You can find here town Chuguyevka free download. On this map town Khor free download. town Kamen'-Rybolov marked. You can find here town Khorol' free download. You can find here town Yaroslavskiy for Garmin.